OE-Quality Gear Sets for Cars, Trucks, and SUVs. The Test: During fatigue tests, each gear is installed in a production axle attached to a dyno. The axle runs on the dyno until the gear fractures. The high-load test simulates a loaded vehicle going uphill or carrying extra capacity such as a trailer. The-low load test simulates everyday driving at an accelerated rate. 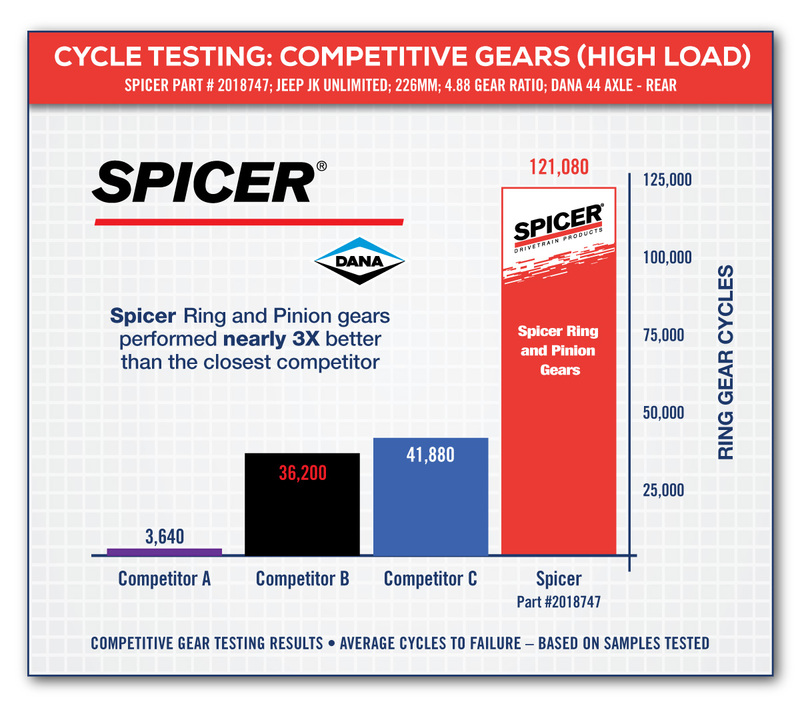 The Result: Under high-load conditions, Spicer ring and pinion gears lasted an average of 121,080 cycles—nearly three times as many cycles as the closest competitor. 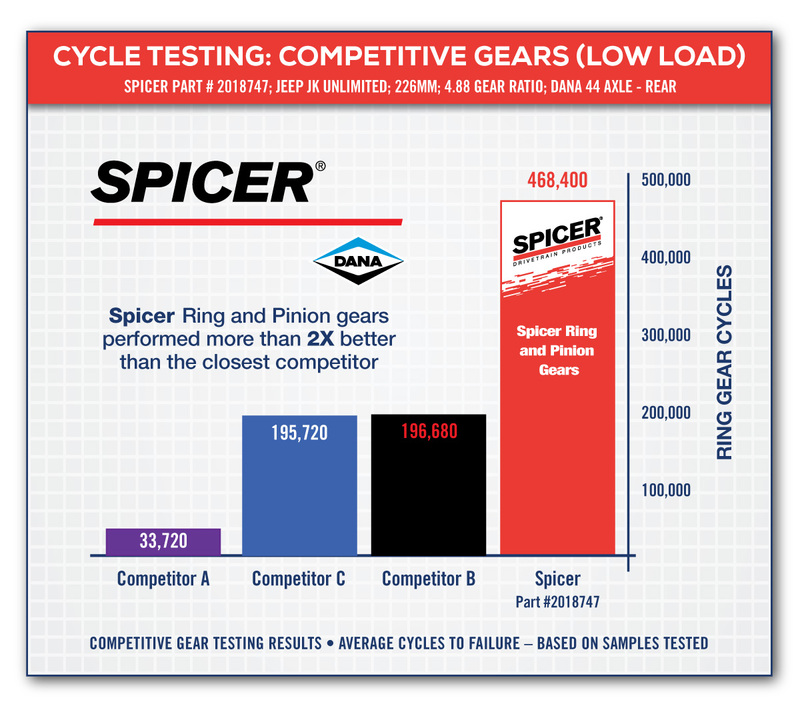 And under low-load conditions, Spicer ring and pinion gears performed more than twice as many cycles as the competition! Get maximum durability and OE quality with genuine Spicer gearing. Proven Processes Make the Difference for Spicer Ring and Pinion Gearing. Remember: Non-genuine replacement parts are usually not manufactured to the same standards, which can cost you more in the long run. Reduce your downtime and cost with genuine Spicer ring and pinion gearing. When you purchase gearing with the Spicer name, you can rest assured that you are getting quality product that’s engineered to keep your vehicle on the road. Locate the Spicer parts dealer nearest you, then get ready to enjoy all of the advantages that genuine Spicer quality has to offer. Get information about Dana’s SVL brand All-Makes automotive axle gearing program by visiting our SVL Parts website.